How fax to email makes faxing simpler, faster, and more convenient. The information age has made communication far more effective, simpler, and much faster. It is now possible to communicate with people all over the world in real time. This has increased the efficiency of global business, but has also helped individuals gain access to information faster. The internet has expanded horizons for many areas of technology, including faxing. With internet access, faxing is now possible in a completely electronic medium, meaning you can dispose of that old fax machine. When faxing was first introduced into offices around the world, it made communication remarkably easy. However, these were the days when mobile phones were still fairly scarce in the world, and communication did not happen as quickly as it does now. Land lines were how telephones worked, and thus having the fax machine fixed to one spot was perfectly feasible. But with mobile communication, we can’t be rooted to one spot for the duration of the day. 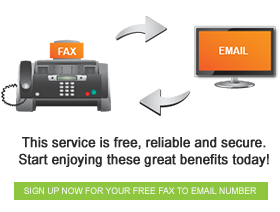 FaxFX allows your fax machine to become mobile by allowing you to send and receive faxes from your email account. Electronic faxing means that you can check your faxes while on the move, and have access to all of your prior fax communication, which is stored securely on the FaxFX server. Fax to email is easy, quick, and makes faxing more convenient than it has ever been. ⇐ Faxes in the online world Fax to email and email to fax; the way forward.